Family Day is coming! 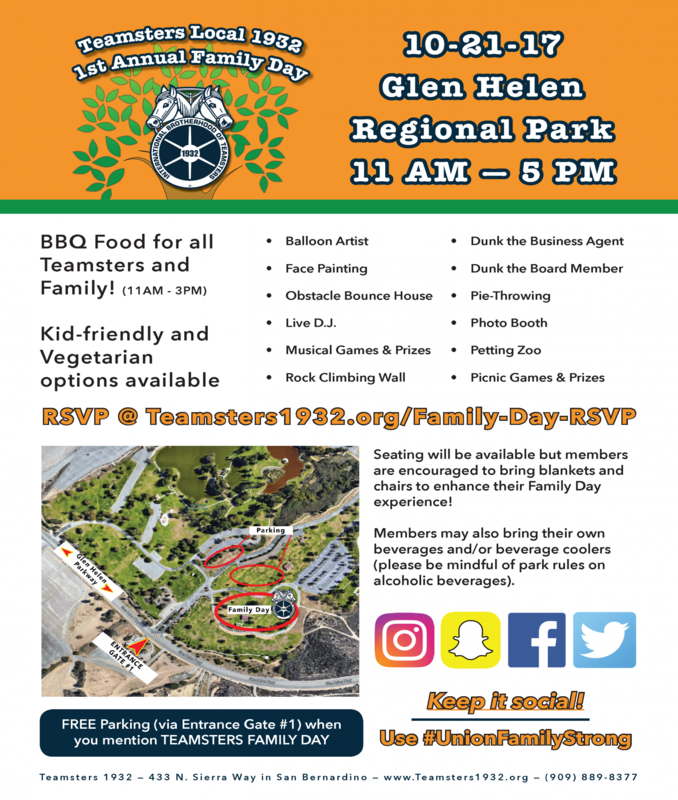 Save the date of October 21st for a day of fun and food, with picnic games and activities for all Teamsters and their families. Including: Live DJ, petting zoo, rock-climbing wall, dunk the Business Agent, and more!